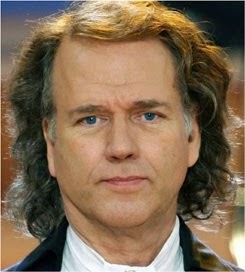 "I'm so ashamed," Rieu says. "I'm a professional. Crying on stage is not done. But I couldn't help myself." 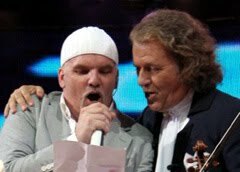 It happened as he performed 'Waltzing Matilda' during his third Melbourne show. 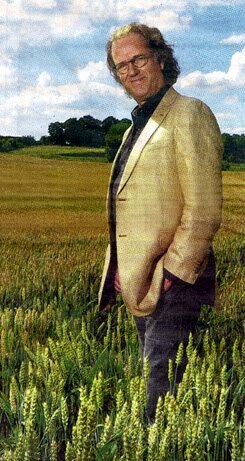 "Firstly, it's a magnificent, beautiful song that always touches me," he says. "Secondly, I worked very hard to put together a show for my Australian fans. It was the biggest stage on earth, so, for me, it was a big risk. But it worked. "There were 38,000 people in front of me, enjoying the concert, smiling. It was all too much for me." 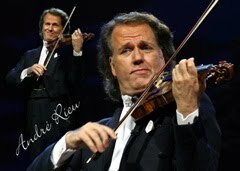 Certainly, weeping is a rarity for superstar Rieu. He is usually laughing all the way to the bank. And deservedly so. 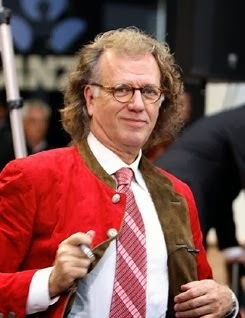 Rieu, and his orchestra, celebrate their 30th anniversary this year. 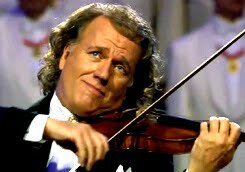 In that time, Rieu has overcome every possible setback and sneer. 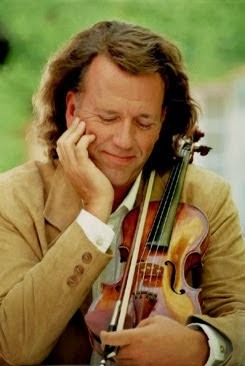 Famous Australian violinist Richard Tognetti calls Rieu's music: Schlagermusik Pop. 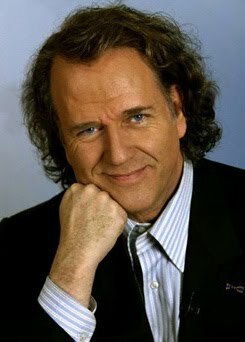 "I don't make it mainstream in the bad sense of the word," Rieu responds. 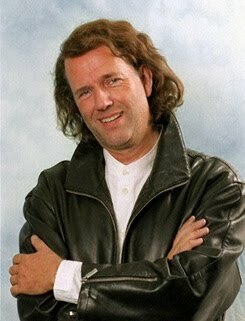 "I would never put a beat on a Bach. I play everything in original form. But I play in a way that gets millions of people to my concerts. I play in stadiums. "I don't know," he shrugs. "I think some people are jealous." "I believed in myself because I knew what happened in the audience every night," he says. 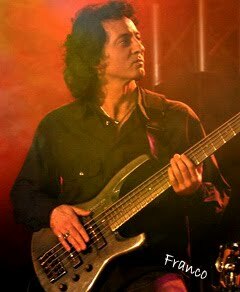 "In the beginning, I didn't have money and we were a small orchestra, but the atmosphere (now) is the same as it was then. "Nothing has changed." Except for the numbers. 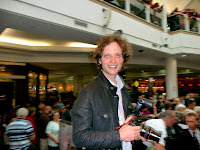 He was the best-selling artist in Australia in 2008 and so far in 2009. His national stadium tour last year broke box office records. That tour, with a $5.6 million cost to stage each show, toured the world and had an entourage of 460 people. 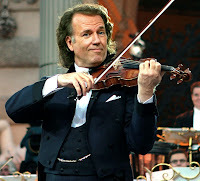 According to concert industry magazine Pollstar, Rieu made $98 million from touring last year. 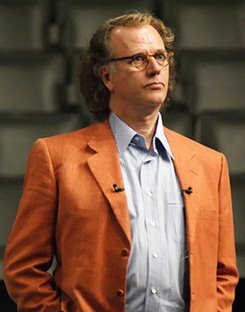 His was the eighth most profitable world tour in 2008. 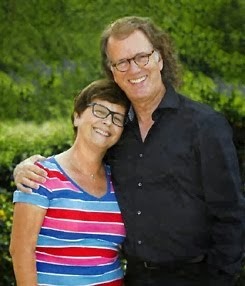 Rieu and his wife, Marjorie, control everything. 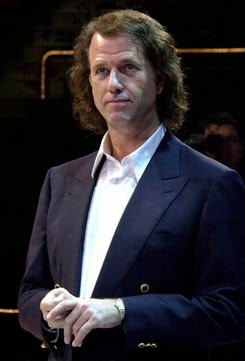 Rieu, 59, has no manager. 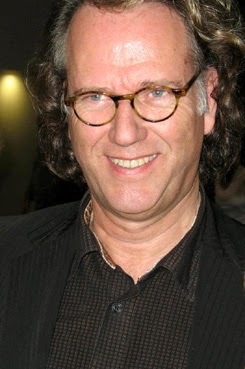 His son, Pierre, was a production manager. He is now vice-president of the family company. 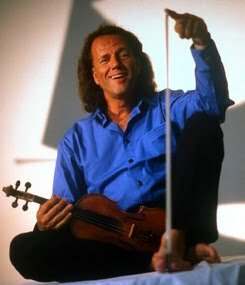 "I like to keep it in the family," Rieu says. "This way, I decide whatever I do." He consults Marjorie on everything. "We decide together. We are the boss," Rieu says. 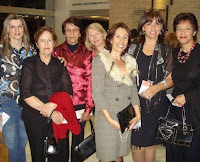 "We decide on the programs, she writes the text. "We talk about what we're going to do next year -- or in 10 years. We work on my career together." 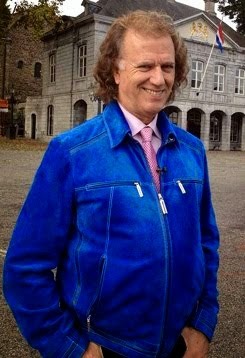 Andre Rieu runs a tight ship. 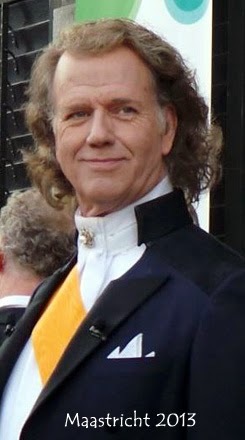 His tour party includes 40 logistics personnel, 100 orchestra, choir and soloists, 100 dancers, iceskaters, marching and pipe band, 50 production, wardrobe and chefs and 20 sound and lighting technicians. But he is a generous boss. The orchestra, choir and soloists get five-star travel and accommodation. "We make music together on stage," he says. 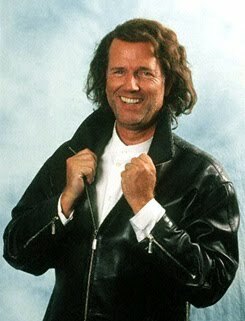 "So -- imagine I am in a five-star hotel and eat a big steak, and my orchestra is in a tent outside and eats McDonald's. "Do you think we can make music together?" he laughs. "We are friends. We travel the world and we come home. Together." 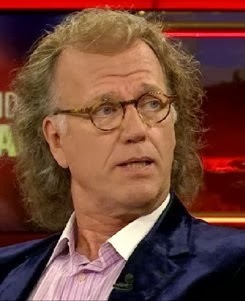 It was reported Rieu fines players if they make mistakes. "No," he corrects. "I fire them. When I see somebody is not doing their best, and sitting there only for the money, we talk. "If, in two or three weeks, it's the same, we say goodbye." 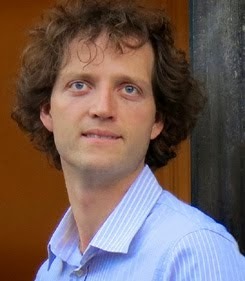 Rieu is often called a control freak. He dislikes the term. "I'm controlling everything, but only because I have this dream in my head," he says. "I know exactly how I want to achieve this dream and make it reality." 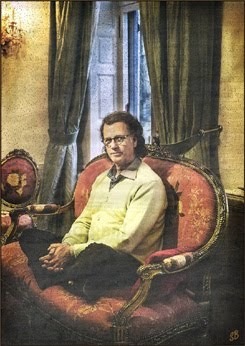 Rieu conducts business affairs at his castle in Maastricht in the Netherlands. He lives in a stately home nearby. 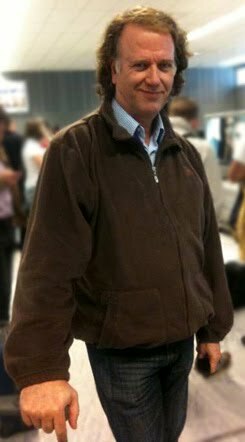 Lately, however, Rieu has started to call Australia a home away from home. Locally, he has sold 2.5 million CDs and DVDs in the last two years. His DVD, Live In Australia, has been certified 21 times platinum. 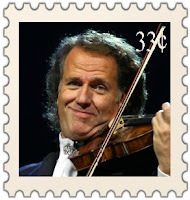 Sneak Preview of The André Rieu Stamps! 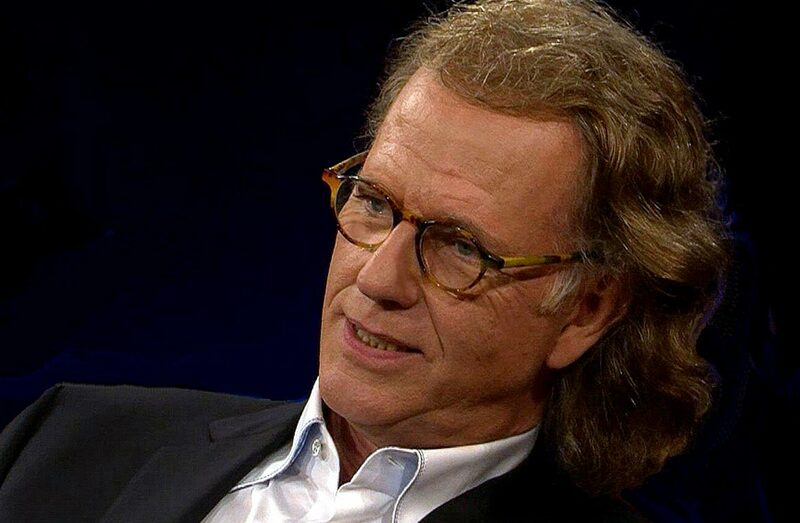 ►Watch Video About The André Rieu Stamps! Thanks to Benny G. for sending us this! 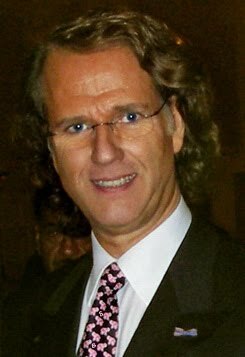 A New André Rieu Fansite for New Zealand! 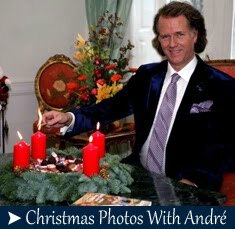 A New André Rieu Fansite is Launched in New Zealand! "Now, just to let you know, the photo is of me in my school uniform, because you see I'm only 15 years old. But I hope you and other fans won't be put off because of this. I say this mainly because I see most other site owners are much older than me." 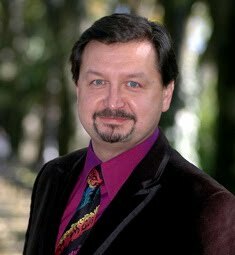 Here is the link to his New Zealand Website which is very well done, and we are all going to enjoy watching it grow! 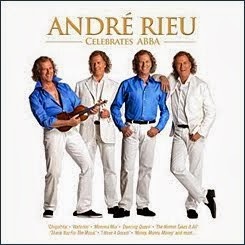 Be sure to take a look at it and Welcome Reuben to the André Fansite Community!! MARGRATEN - March 24, 2009 Five F-16's from the Dutch Airbase Volkel will do a flyby over the American Cemetery in Margraten in Southern Limburg. 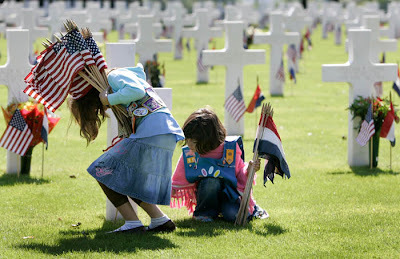 The only American Cemetery of World War II in the Netherlands will observe it's annual Memorial Day Services. 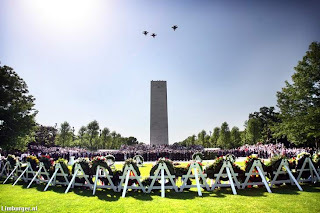 In this flyby, the American Military, who lost their lives in battles in the German Ruhr area, the Belgian Ardennes and in the liberation of the South of the Netherlands in World War II, will be remembered. In this cemetery 8302 soldiers are entombed/interred . The ground has been forever made available by the Dutch government. Annually, on the last Sunday in May the dead are remembered on Memorial Day by the Royal Air Force's F-16's salute. 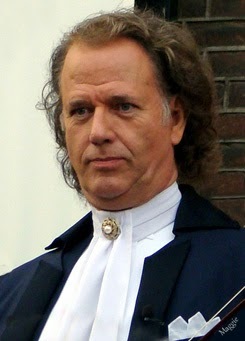 Defense Minister Eimert van Middelkoop will attend the Memorial Services. F-16's flying over the Cemetery as a tribute to those who have fallen. 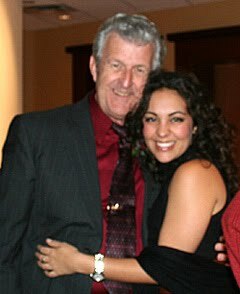 Every art form should have an ambassador, one who acts as a warm, inviting presence, making you feel at home and appreciated. 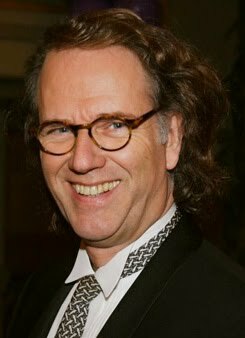 For classical music, that ambassador is Andre Rieu, the Dutch violinist who eschews the sometimes-stuffy pretensions of his chosen genre in favor of a light-hearted evening of waltzes, show tunes and operatic arias. 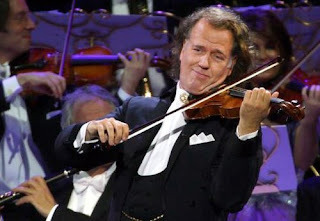 On Saturday night, Rieu and his Johann Strauss Orchestra brought their itinerant Viennese New Year's Eve party to Minneapolis' Target Center. 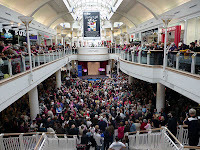 And what about 3,500 folks in attendance experienced was a group that's keeping things interesting for themselves and their audiences by injecting more physical comedy into their act than ever before. 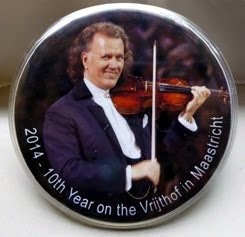 I have been so privileged to attend five concerts of the 2009 Spring tour. In April ... Manhattan, Newark, Reading, Philadelphia and Camden. And the highlight of my tour season ... the Detroit Concert in the magnificently beautiful Fox Theater on May 19th. This venue has everything ~ beauty, graduated seating, great acoustics and comfortable seats. 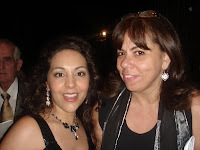 Carmen will also sing opera's in Manaus Brazil and in Bogotá Columbia. 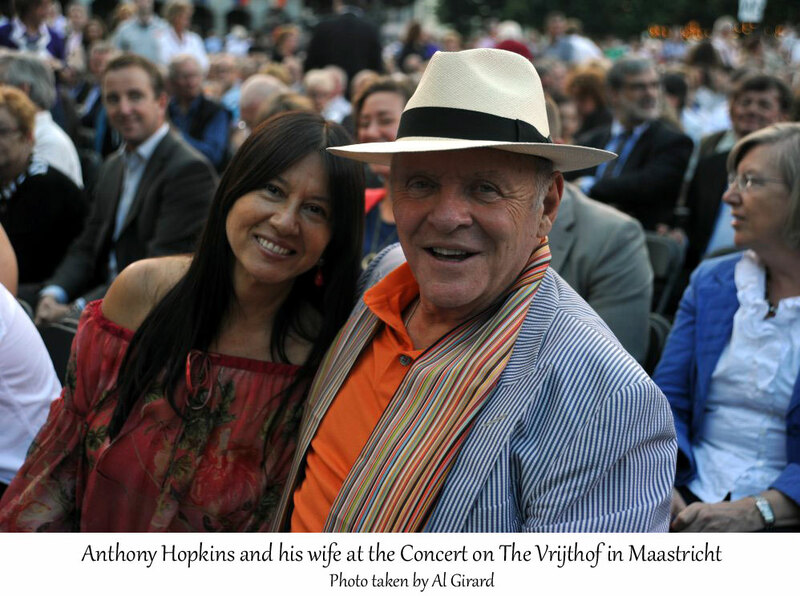 And she will be in Maastricht for all the concerts in July. A SMALL Ascot Vale dress shop is making its mark on a global scale. Leiela Ladies Evening Wear in Union Road is being sought out by stars and celebrities keen to don their gowns on the red carpet. 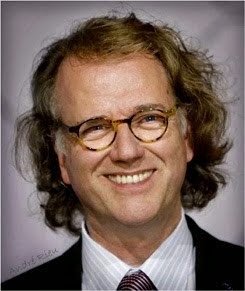 The latest identity to wear Leiela's wares is Andre Rieu's lead soprano Mirusia Louwerse. 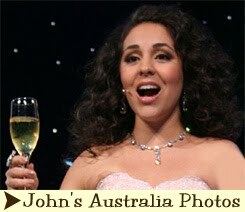 On a global tour with Rieu the world famous violinist, conductor and composer, Louwerse and her Universal Music management selected a sparkling sequined gown for appearances in Sydney and have since bought the dress so she can wow audiences around the world in the stunning evening number. Dressmaker Lucy Laurita, who has owned the shop for four years, said she was thrilled the big name had picked one of her creations. "This is what I've always aimed for. It's been a wish of mine to do this and it's paying off." Thank You Chris T. for sending this for us! 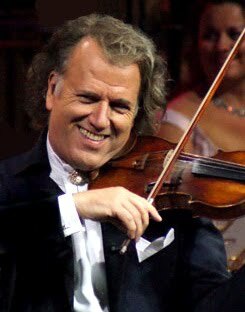 With an assist from several singers, André Rieu and his Johann Strauss Orchestra put on an entertaining concert last night in Nationwide Arena in Columbus, Ohio. 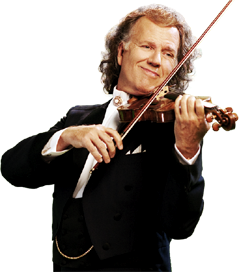 One typically doesn't hear classical music in a sports arena, but then Rieu isn't your typical conductor-violinist. 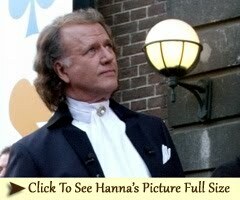 He's also a shameless showman, and a schmaltzy spokesman. 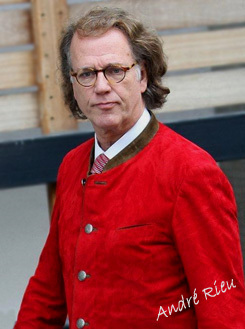 Let's put it this way: At one point during the show, Rieu told a lady dressed in red in the front row that bulls react to red. 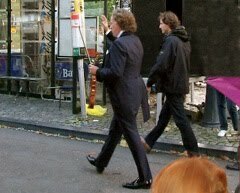 The orchestra played bullfighting music as two people in a bull costume chased the lady (who it seems was part of Rieu's organization) down the aisle. Is it any wonder then that the modern day "Waltz King" would say his heart beats in three-quarter time? 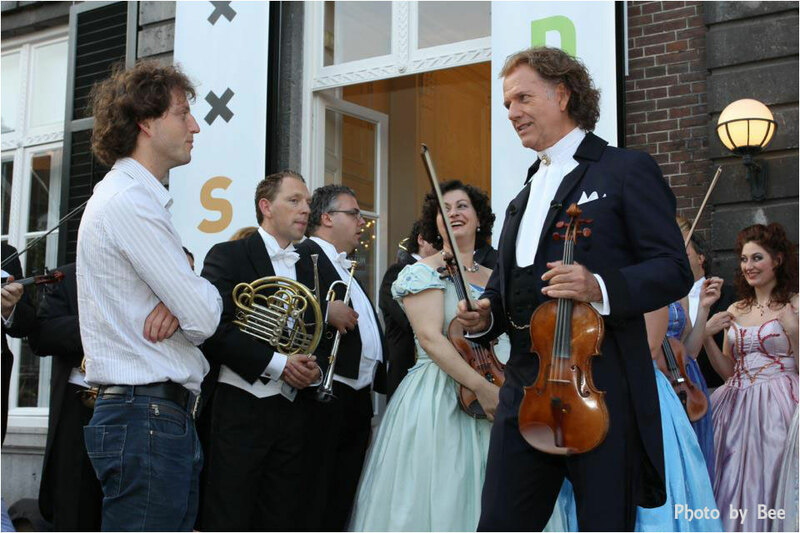 But seriously, the Dutch-born Rieu, 59, said he's been making music with this orchestra for 30 years. He started with five musicians and now has more than 50. 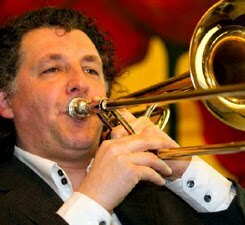 The concert began to the strains of 76 Trombones, as the orchestra, led by Rieu, walked on the floor of the arena to the stage. 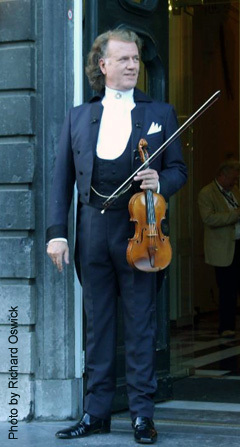 Many of the people in attendance stood and clapped as the orchestra took their places, the men in tuxedos, the women in colorful gowns. Then the orchestra launched into the Carmen Overture. 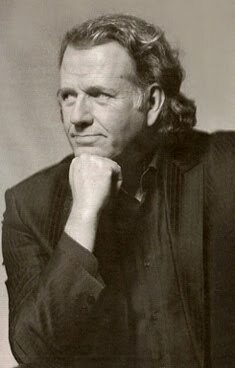 Rieu's arrangements stress the melody, giving everyone from the harpist to the female chorus something to do on nearly every tune. 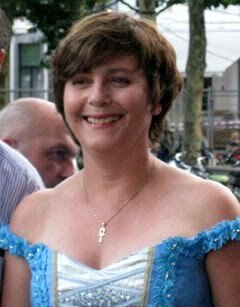 These highly competent musicians are often smiling, and they all act to some extent, with all the women starting the second half of the show wearing Dutch costumes and dancing in wooden shoes. When the women left the stage to change into their gowns, the men acted rowdy, to the point of drinking. Some fans of symphonic music may not like this approach, but it's proved to be a popular formula for Public Broadcasting System audiences. 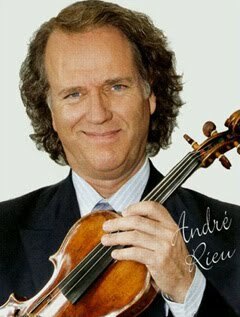 Rieu is a charismatic leader, given to uttering platitudes such as: "Music is the most beautiful thing we have in life." 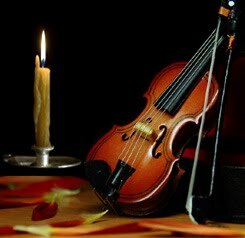 Or,"Without love, there would be no music." He asked audience members where they were from. 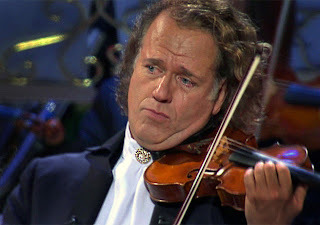 One man said Ashland, and Rieu thought he meant Iceland at first. Ashland then became a running joke. 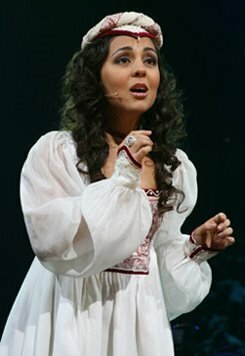 Yet what made the concert noteworthy were the songs, including the Ode to Joy and selections from My Fair Lady. 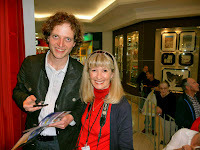 Mirusia Louwerse, a lyric soprano from Australia, was exceptional in "Time to Say Goodbye". 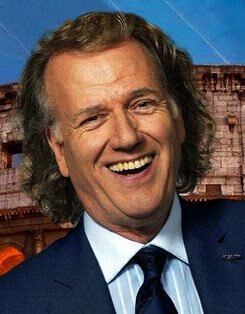 André Rieu Postage Stamps On Sale July 13th! 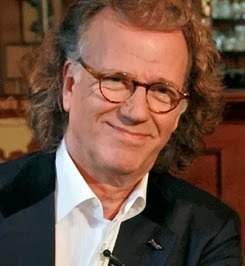 A series of Postage Stamps featuring André Rieu will become available this summer.TNT Post (Dutch Postal System) publishes stamp booklets with images of a well known Dutchman a few times a year. 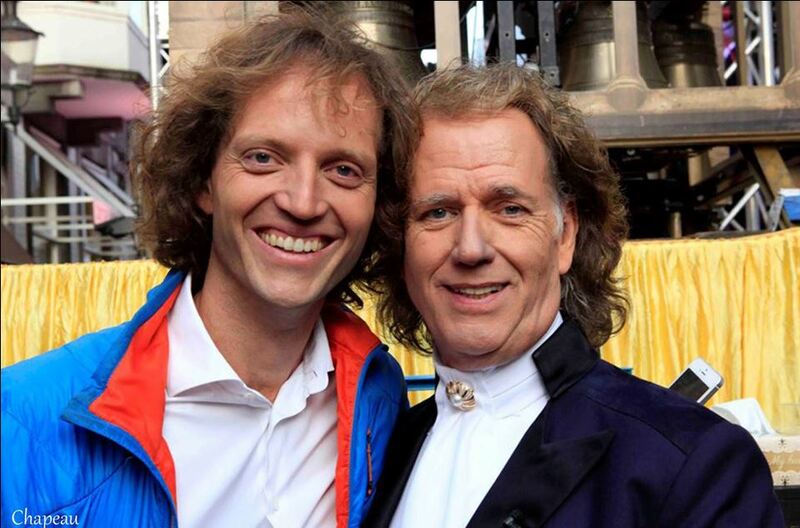 Artists like Frans Bauer and Herman van Veen have already preceeded André Rieu. 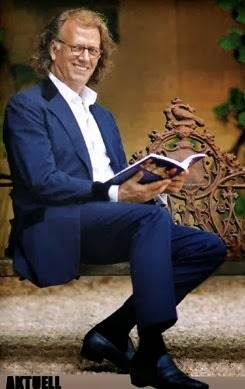 Thanks to Benny G. for this information and John de Jong's Translation (c)! 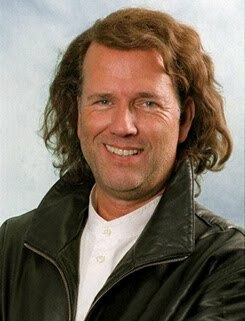 Wilkes-Barre Penn. 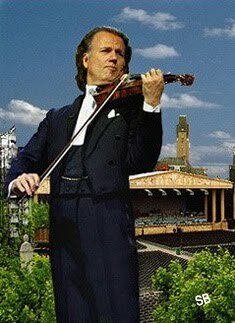 May 16, 2009 ~ Dutch violinist and conductor André Rieu made his first trip to Wachovia Arena Casey Plaza a memorable one Friday evening, stopping as part of his 30th Anniversary Tour with the Johann Strauss Orchestra before an audience of 4,375. 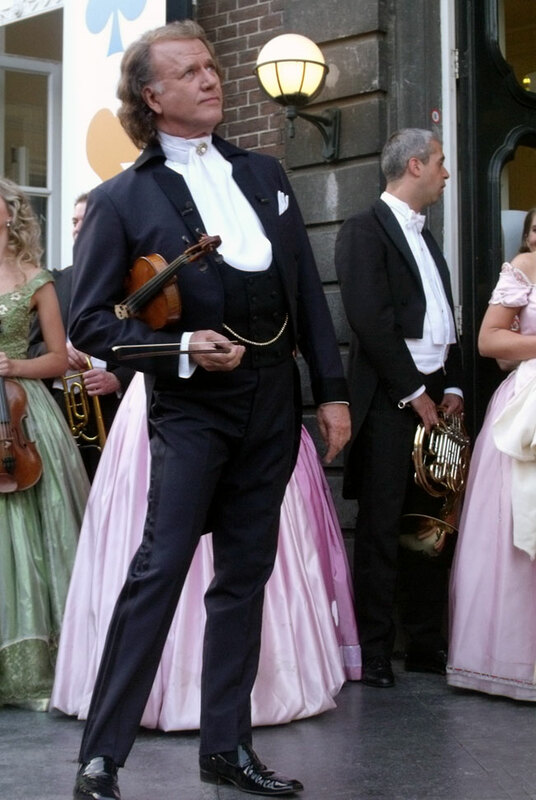 A native of Maastricht in the Netherlands, Rieu is largely held as responsible for the revival of the famed waltz synonymous with the Johann Strauss. Reiu has taken an art form that to some is either too highbrow or completely complicated and made it more accessible. Rieu paints musical landscapes through his music, combining its presentation with an irresistible charm that draws in the genre’s harshest critic. 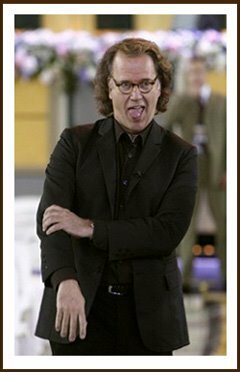 The show is an exercise in elegance.Women are dressed in full-length, flowing gowns while men are decked out in meticulous tuxedoes, all lending to the ambiance Rieu creates. 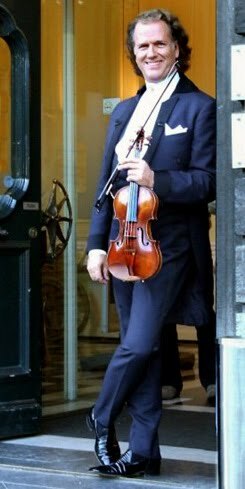 Reiu’s playlist of waltzes, polkas and show tunes magically captured the audience from his grandiose entrance to the arena through the evening’s final notes. 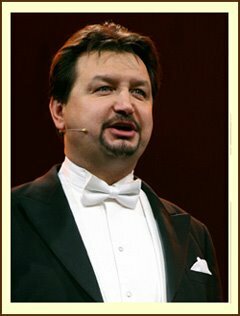 Arias from various operas to operettas to a collage of show tunes, Reiu captured the imagination of his concertgoers. Reiu’s sentimental journey down life’s highway with music as the guidepost makes for a truly enjoyable ride. 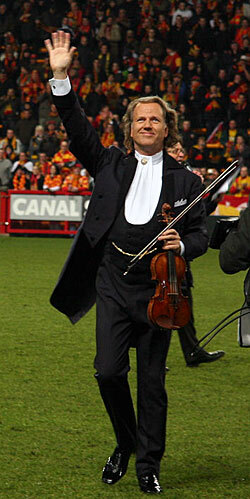 Rieu’s playlist at Wachovia Arena included the title theme song from “Titanic,” Mozart’s “Adagio from Violin Concerto No. 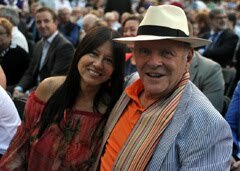 3” and “Vienna, the City of My Dreams.” Everything he touched Friday evening turned to gold and received warm and generous applause from the audience. 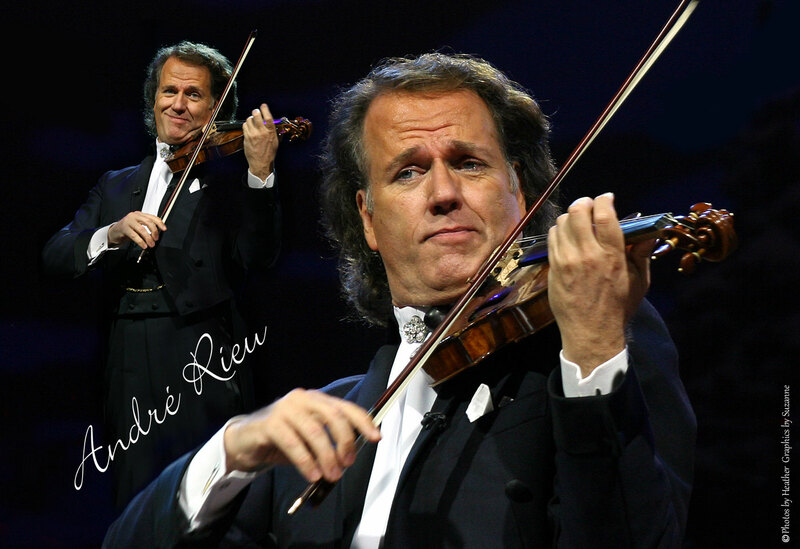 André Rieu’s performances are an excercise in musicianship and elegance. Unlike many of today’s concert productions, there is heavy reliance on technical wizardry, vocal enhancement and yes, even some little help along the way with digital reinforcement. 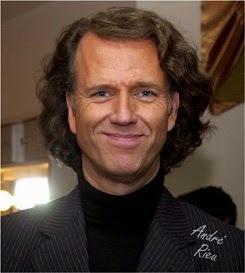 Not only do you sense that is not afoot with André Rieu, you seem to find it unnecessary. 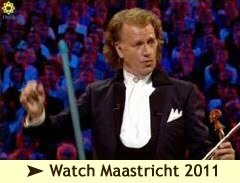 Rieu plays his Stradivarius and conducts from center stage for most of the evening. The platform was eloquently appointed with flowers, skirting and subdued lighting. Maastricht ... 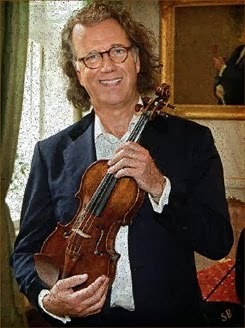 The posters for the Vrijthof Concerts from 10 through 14 July of Orchestra leader and violinist André Rieu have for a short while been annotated with "Sold out", but whomever wants, can from a short distance, enjoy two free evenings of his performances. 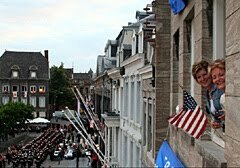 Rieu has given the organizers of the First Euregional Tugboat Days of Maastricht permission to place a television screen of three by five meters in the historical harbor "'t Bassin" so that the evening concerts of Saturday and Sunday evening can be viewed there live. The Tug Boat Days will be a mix of nostalgic ships, old naval trades, demonstrations and music by a Shanty Choir (a sailor's choir, consisting mostly of just men singing (old) sailor songs. 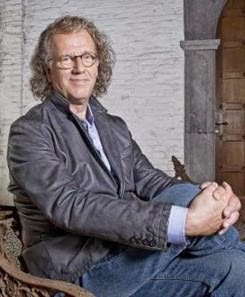 Organizer Roelof Fransbergen, who for the last two years has been director and owner of the shipping company "Stiphout", has been for years the president of the Harbor Days in Maasbracht. 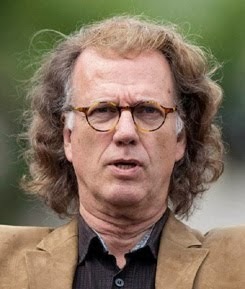 He wants to make more use of the waters in Maastricht for various events. 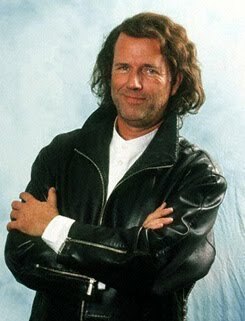 Saturday 2 August will be designated as Ode to Benny Neyman day, who passed away in early 2008. Thanks for this ©Translation from John de Jong! Jann sent me a tube of it last winter and I tasted it, (Ewwwww) And I can say each one of my kids and most of my grandkids have tasted it and they said Ewwwww too! 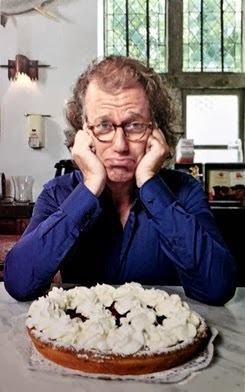 It's VERY salty and to me tasted like concentrated vitamin C.
Click on the link to see the funny clip, and Mirusia sings the Vegemite Song! 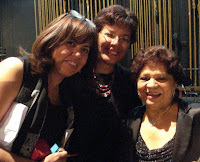 Those of you who know Margaret will catch her singing in the audience!! Thanks for the heads up on this Chris! It's really been a busy day, a quick flight up to Sydney and straight out to the Entertainment Quarter for the showing of "Live in Australia" on the big screen along with the Meet & Greet in the Premier Lounge, followed by the "Red Carpet" interviews downstairs. The telecast started off with Richard Wilkins interviewing Pierre who had just finished phoning his Mother to wish her Happy Mother's Day, now I must add this interview was happening down at the very end of the red carpet - a fair distance from where I was at the tail end of the "gung-ho" paparazzi when an unexpected visitor appeared on the red carpet ... a tiny terrier dog who simply appeared from nowhere !!! I was so UTTERLY amused with the little doggie and busy laughing I forgot to take a pic, he walked that red carpet as if it had been laid out there just for him - it was sensational, of course now I regret not taking that pic. Seriously there is no way in the world you could get any producer or director to replicate the incident. 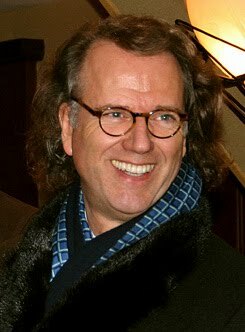 He made his entrance just behind Richard and Pierre, calmly trotted the length of the carpet, right through the front door of the cinema complex, into the lobby as if he were the star of the day - IT WAS JUST THE BEST. 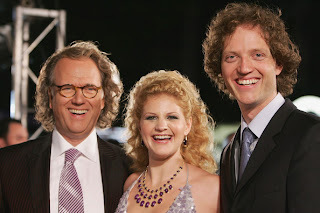 Next it was Mirusia's turn on the red carpet with Richard - and how lucky does a girl get ... the interviews were now being held right in front of me - I had "poll position". Mirusia was dressed for her red carpet debut in a low cut silver floor length evening gown and looked stunning, only to be outdone by her twinkling eyes. And now it was André's turn, he was obviously enjoying himself and the rapport between him and Richard was evident as they fed off each other with the questions and answers. A competition had been run asking people to send in questions they would like to ask André and a handful were selected for the evening. The ONE question I remember clearly is when was his grandchild due !!! 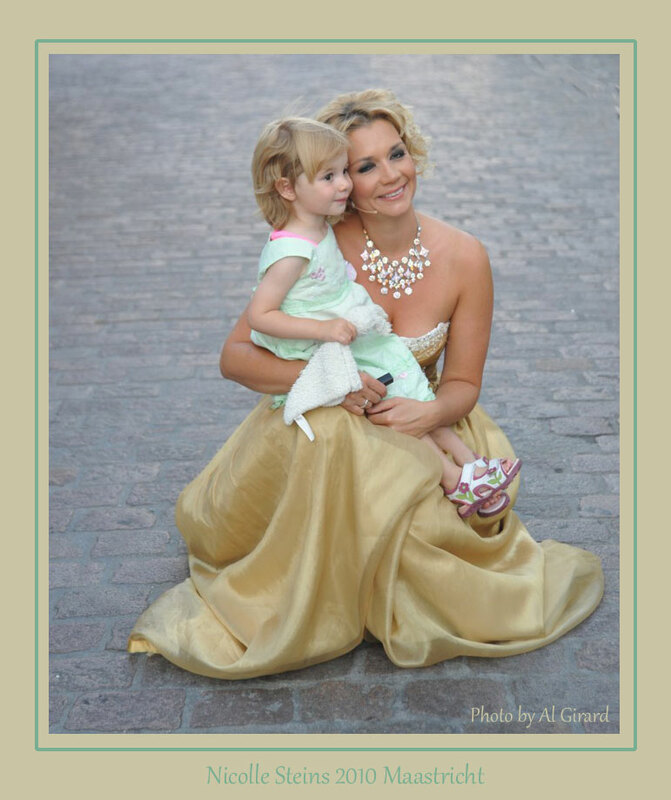 Andre answered that Marc's baby is due around the 5th July and he will definitely be home for the occasion. And - yes André had phoned Marjorie for Mother's Day. 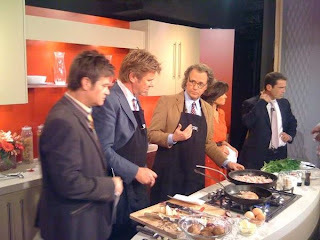 The interviews were great and Richard again displayed the aplomb he is well known for. Now for the Premier Lounge, the Meet & Greet and Champagne. I was allowed up there as long as I remained discreet, not a problem I promised. Discretion disappeared out the window, the Lounge was filled with the NSW Friendship Group and several other readers from the website, it was more like turning up at a surprise party. 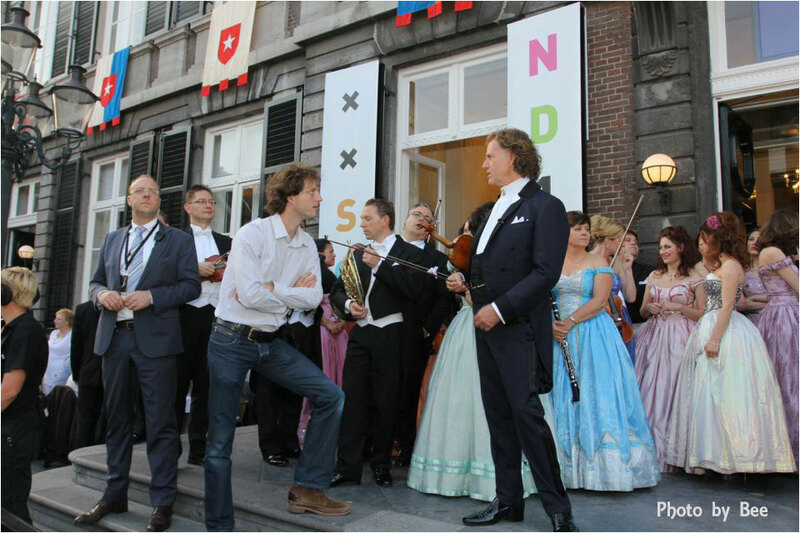 Everyone was in great spirits and looking forward to meeting André and Mirusia, they were not disappointed. 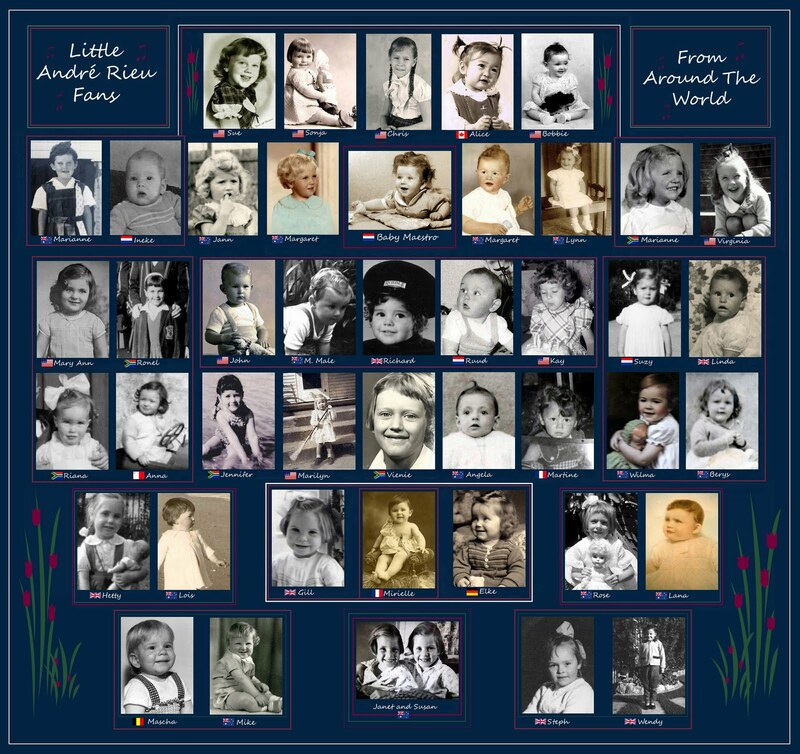 Everyone attending the evening received a CD "The Andre Experience" with 12 tracks that was the single CD "Masterpieces" put out overseas in 2007 accompanied with a 20 page souvenir program. Another sprint up the stairs to say goodbye to everyone settled comfortably into their seats for the rest of the show and another round of hugs. 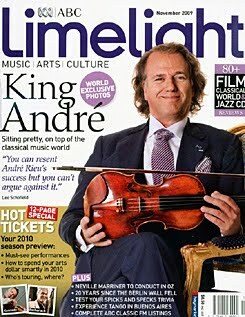 Reports have come in saying "You could clearly see André's face relax & delight in the audience response 5 minutes into the movie when he asked for a standing ovation for Pierre's achievement ... there goes one very proud Father and who can blame him !!! 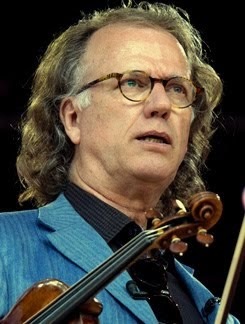 Violinist and composer André Rieu at the Premiere of Andre Rieu's 'Live In Australia' at the Entertainment Quarter on May 10, 2009 in Sydney, Australia. 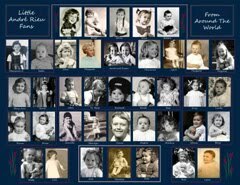 Click on the links below to see some great pictures and the article that was in the Sydney newspaper today. 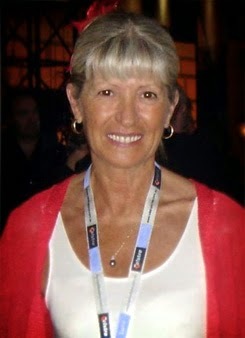 Melbourne: What a treat for Jann from the Aussie Fansite! 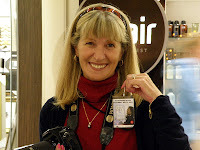 She went to Eastland Mall yesterday and had the opportunity to get some great pictures and see everything close up! Below is a little report she wrote of her unique experience and a few of her favorite photos that she took. 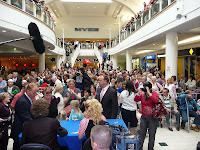 ►Eastland filled quickly this morning as everyone turned up for the much anticipated appearance of André and Mirusia. It was fascinating to watch the comings and goings in the "media mosh pit" ... being on that side of the fence certainly gives you a different perspective !!! Although running half an hour late, he more than made up for it once he arrived. He made a striking figure in his suit and Mirusia was stunning in a short black fitted dress with hot pink strings to form short sleeves. 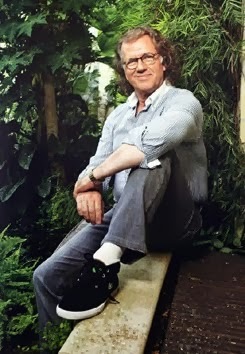 André paid tribute to Victoria's bushfire victims and with feeling made this comment - "When we heard about these terrible fires in Australia, the only thing I wanted to do was jump on a plane and come and help you, but I am not much of a fireman." 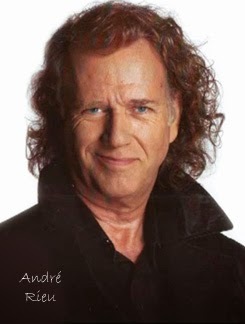 André went on to add "only when we're together, we can help each other, and we can go into the future." Mirusia gave us "Aussie Aussie ...Oy Oy and the crowd loved it. 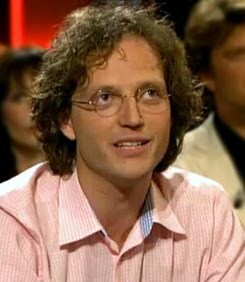 André performed Oh What A Beautiful Morning and then with Mirusia, they performed You'll Never Walk Alone - it was a beautiful performance. 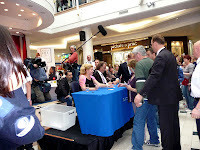 Then it was down to some elbow-grease for the two as they sat down and greeted everyone there as they autographed one CD/DVD after another, as I stood behind them, I could only marvel how much of themselves they gave to each person. 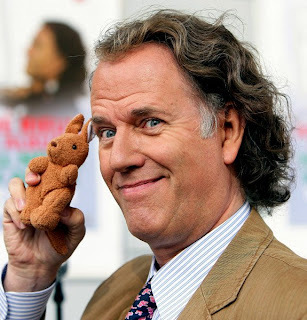 André's Kangaroo that he says travels all over the world with him. 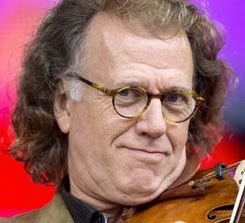 He keeps it in his Violin Case. 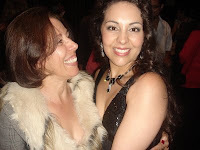 Photos were taken at Blacktown Westpoint on May 8, 2009 Blacktown, Australia. 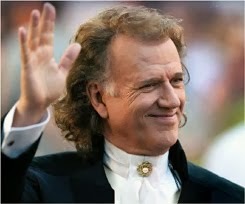 May 7, Sydney ~ MASTER'S Tips ... André Rieu gives The Daily Telegraph's Kathy McCabe a music lesson to die for yesterday. 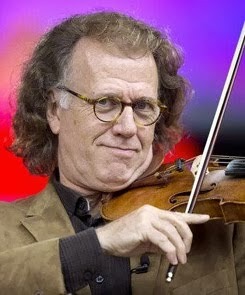 After seeing this video ~ many of us I think would stand in line for a Violin Lesson from André! Click on the Link Below. 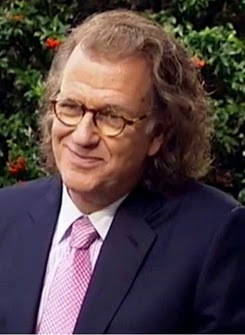 Tonight starts the Docusoap about André Rieu’s Australian victory tour. 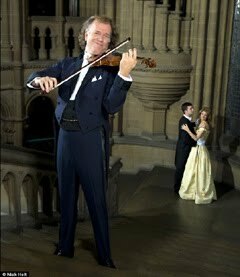 The Limburg violinist and Orchestra leader is a mega star down under. KRO Magazine asked an Australian Fan about the extent and the secret of his success. 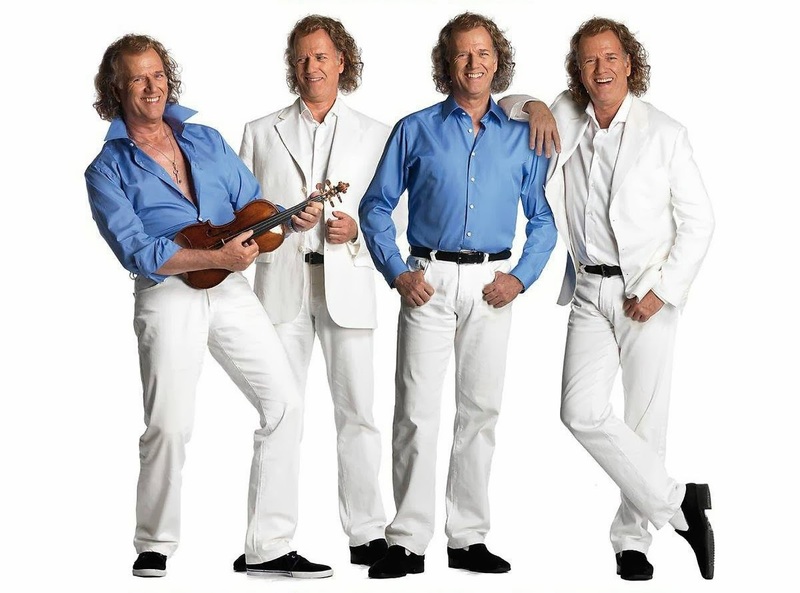 Interview: Australia has totally fallen for the musical charms of André Rieu. 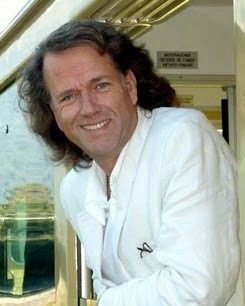 The Maastricht “King of the Waltz” sold approximately 2.5 million CD’s and DVD’s down under and is therefore one of the best selling artists down under. 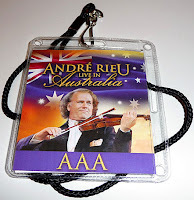 The success was evident in Rieu’s first Australian tour. 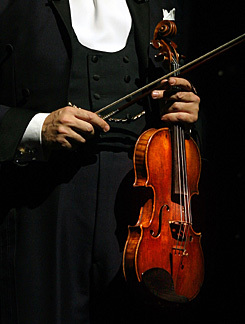 Together with his orchestra, in 2008, he performed eleven concerts, in which more than 264,000 attendees were swept away in his sugar sweet fairytale world. 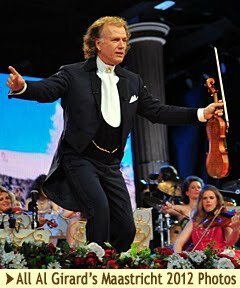 As always and also in Australia live, Rieu performed on a grand scale with the Viennese Schönbrunn Castle as a stage setting, including a golden coach, ice dancers and ballet. 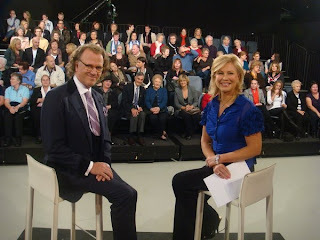 In the road soap “André Rieu in Australia”, we follow him and a 500 man crew while on the road, before and during his concerts, and are present during his media performances, such as his guest role in the soap “Neighbours” and a performance of the Australian version of “Dancing with the Stars”. 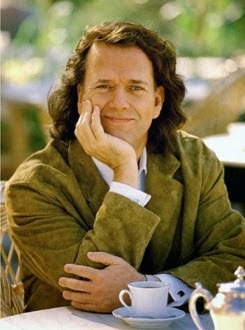 A large group of Rieu fans find themselves via the internet. 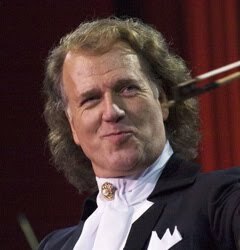 They stay in contact through so-called “friendship groups” and Fan Sites, such as www.aussiefansforandrerieu-webpage.org Jann Treyvaud is the administrator of this site and she confirms Rieu’s star status in her native country. 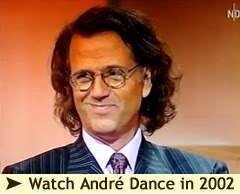 "André’s CD’s and DVD’s are sold out in a few days, and when he conducts an interview or appears on TV, the viewer numbers for that program skyrocket. The interest in his concerts is enormous ~ tickets are sold out in no time, sometimes a year in advance. 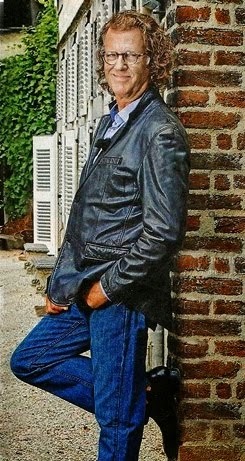 Some fans follow him from city to city, in spite of the large distances. 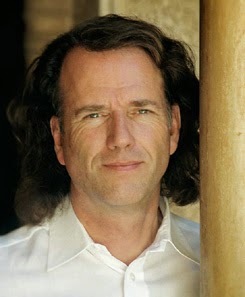 Australia has an unquenchable hunger for everything that has anything to do with André." 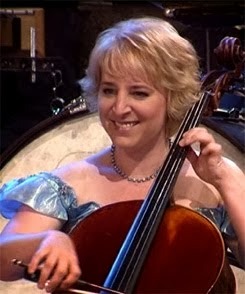 Treyvaud attended two Australian concerts herself, and in July will travel to the Netherlands, just like many of her countrymen, to attend Rieu’s yearly performances on the Vrijthof in Maastricht. 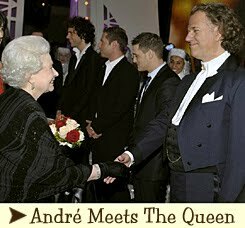 “André presents his public with an unforgettable evening. 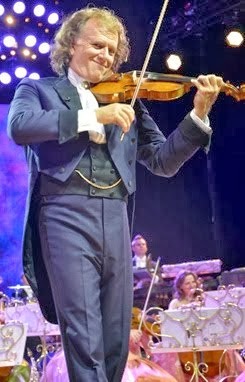 He mixes classical with fun and gives the people the feeling they are part of the concert. You are temporarily transported into another world”. 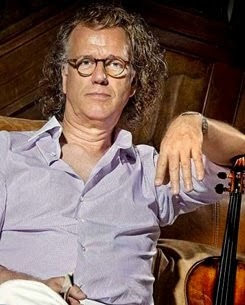 According to Treyvaud, Rieu’s success stems from his fresh and positive approach. 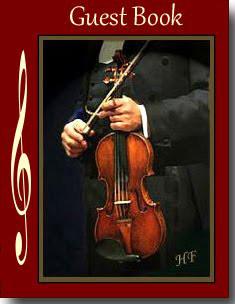 “He has opened the world of classical music and stripped it of its exclusive and rigid character. 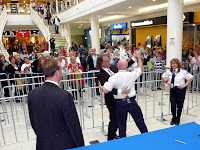 His public really loves him”. Note from Ineke: This article shall appear in the KRO magazine of next week, in Dutch of course, for the Docu Soap starts at May 22nd. Ruud and I are on a short vacation in Scotland between May 20th and June 1st, so you have to have a little patience, but after that we'll post the episodes on our website. 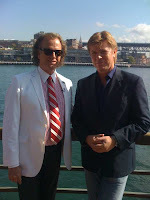 After conquering the world with a wildly popular tour, André Rieu catches up with Richard Wilkins to chat about his love of Australia on the Sydney television show, "A Current Affair".Click on the link below to watch the video. As you will see in the video ~ Johan is the one that took the picture of André and Richard! Thanks for the heads up Jann!